After over a year of researching, collecting and listening to music, new ways and ideas for making it sparked and evolved into what is now called ‘Now’ EP. 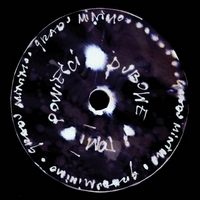 Each of the 5 tracks is based on different, unique nuances, but all derive from the same bass root, making the whole release coherent and varied at the same time. Because the process of its creation was very much enjoyable, let’s hope that the reception would be at least so, too! 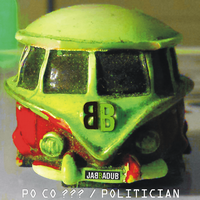 Homegrown Dubs, an EP giving rise to the official releases of Pomeranian bassholic J-Dubs, joins the Paproota catalogue. Just like in the title, these are made in home studio 4 tracks and their dub version with interesting ideas and promising sounds which are worth investing 30 minutes and getting ready for more, as this is just the beginning. Check it! 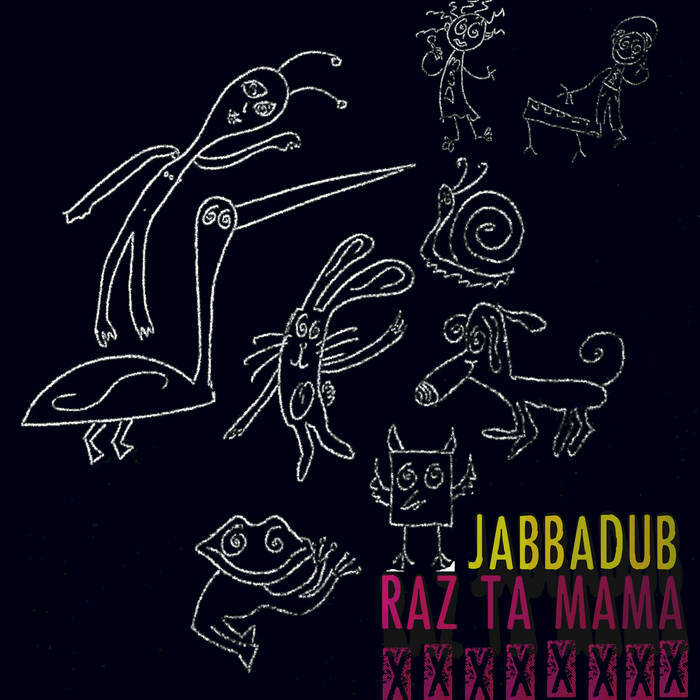 Paproota.org’s newest album by Jabbadub & RazTaMama, titled “Dub Love”, has just left the nest. This one is a collection of 10 tracks tightly fitted in dubwise-no-compromise style, spreading the message of love. You will hear here RazTaMama’s and Mr. Borecki’s (Young Pistols Crew) vocals, as well as saxophone sections by Paweł Push (Dub Rising) and Paweł Feduch (Afrotuba). Łukasz Lisak, known from PapaDram project (Wrocław), added his congas. The album was recorded in the Astralne Studio in Wrocław and Kirby Farm in England. 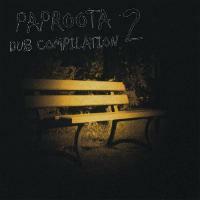 Paproota.org presents the next part of the international release Paproota Dub Compilation. It contains arranged into two sub-albums 24 tracks produced by 35 cooperating artists. From its first sounds until the last one, easy to be felt there is a monolithic project binding original productions with their characteristic styles. Because of its multiplicity, the statement that it completely represents the current directions in dub music is fully justified. Traditionally it is available for free in lossless quality on digital media. You are welcome! Paproocie is the first EP by Dusza, the co-founder of Paproota.org netlabel, who presents here 4 varied in style tracks, created since December 2016. 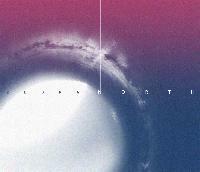 Starting with atmospheric Astral, through swinging Ramdan and energetic Olymps, ending at reflective Eldore featuring saxophone by Philip Filipiuk, the EP is a complete whole that is listened to with curiosity. Let’s then spend 16 minutes on relaxation and check how this album sounds to You! The full album GRADU MINIMO & RAZ TA MAMA has finally landed on paproota.org! After the promoting its arrival, explosive single “Urodziłeś się na FB” (You were born on facebook) it is now the time to present to You the full scale of cooperation possibilities between Gradu Minimo and Raz Ta Mama, which so far has always born fruit of beautiful sounds and texts with particularly direct messages. The fruit in case of that album is, however, noticeably riper, thanks to which it tastes as never before and it leaves a lasting impression. Check it Yourselves! Singles at paproota.org are a rarity, which can be proved by the fact that what we present to You hereby is only the second one, but its size pays off all that waiting. “Urodziłeś się na FB” (You were born on facebook) is a track recorded by Gradu Minimo together with Raz Ta Mama, which alongside with 5 of its outstanding remixes is a foretaste of the LP, even though you can already satiate yourselves well. Get ready for a direct, varied in shades message about almost omnipresent blue periscope of facebook with its dangers and listen carefully! Ladies and Gentlemen, here before you is the newest album by Jabbadub titled “X”. Still tons of DUB obviously, but even more obvious is the fact that this one tastes different than previous releases of the band. This one is quite personal, which makes us want to share it with you even more, with texts written by Raz Ta Mama and Mr. Borecki, but above all, with music carved by Dino Dub Selektor, which you most definitely are going to hum. All the ingredients smell nice with each other and the sound of the whole material is just right. Surely dancefloors will be shaken by the beat and bass, so download it! It has been four years since the first Nomat’X’s EP was released and it has been long enough for the next one, titled System Fall Down, to arrive at our netlabel. Forget all the stereotypes and gossip about an artist’s second release, this project has taken its time to grow, rise and shine for now to eventually land on your harddrive ready for the bass to spread around. Enjoy! 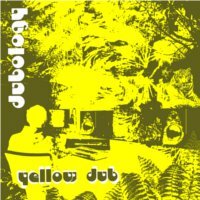 Since we last released Paproota Dub Compilation there have been some changes. To name the most essential ones, DJ Perfect Drug has joined Paproota.org crew, two bass scoop boxes have been built, and foremost we have started cooperation with even more dub specialists. We are not sure if this is an accident that all of those changes have brought us today to the releasing of Paproota Dub Compilation vol. 4, but we are sure that this release can be perceived as a yet another change, this time not just for us. If you are ready for the new, this album is especially for You! We give You the latest EP of Polish-Normand producer Yayoland, “Liqweed Network”. A heavy bass and captivating pads are just a taste of what can take You far away. The “Liqweed Network” EP was released together with the French netlabel Marée BASS Productions. There is a shadow, and in it there is a Sound resting. It opens the eyes, stretches, and emerges from darkness. It sets off. At Its own tempo, undistorted, pure It is willing to reach this one and only place, where It finds Its goal. A place examined by many, but cured by few. There is a drum playing, which accepts the Sound and Its kinsmen – other sounds, and with its percusion artistry it feeds all the senses. Suddenly, the Sound is gone, but just for a while, to make space for other Sounds which will continue to play forever. Along with the beginning of the colder year season we are coming to You with an album that should keep us all safe and sound in this tough period, and should also prevent us from losing the thread of reality. 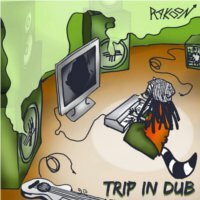 In order not to lose the sight of set goals, we introduce to You “Trip In Dub” prepared by a French dub producer Rakoon, whose 9 tracks are heading in a certain direction, which one, you can check yourselves! P.S. Let it bring only happiness to you all! What do we mean when we say ‚series’? We think that we are able to predict the content within and that the time of its appearance will be regular. Unfortunately, this „definition” cannot be applied when describing Paproota Dub Compilation series, whose part number 3 we present to you with pleasure. Unpredictable, unrepeatable, long-awaited, teeming with energy and bass vibration, uniting artists from different parts of the world, joint in one unique album, ready to fill your firesides, and to fire up dub sessions, to name just a few its features. By this release we would like to set one direction for diversity, as well as to sow one seed of dub in thousands of your ears. 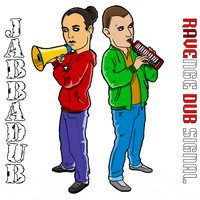 We have waited till the full-length Jabbadub album „Ravenge Dub Signal” is now released. It contains tracks which throughout last year have been produced in Bad Rock Laborotary in Zgorzelec. This piece is an explosive mixture of dub, rave, jungle, with full of emotions lyrics telling curious stories. Dino is responsible for the sounds in it, Dush for the vocal parts. This collective have played lots of concerts, as a consequence, new relationships and cooperations were established. A prove for that could be Diana Levi’s and Rastamama’s featuring. Listen to it and check Yourselves. The album is available from 21. November for free on www.paproota.org . 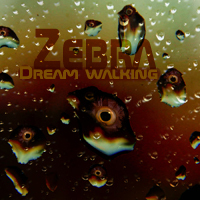 The plurality of meaning of the word „zebra” could already been examined some releases ago. In this one, we are going to learn yet another one, thanks to the French-Peruvian project called Mr Zebre, who presents here his journey’s description by sounds. It’s not an usual trip though; what is contained in this bag, tells us about the dubway. How far can we get and what can we experience? 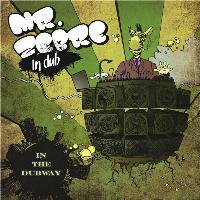 You can answer Yourself after You download na listen to the ‚In the Dubway’ album, by Mr Zebre. Just like wine needs to age, this production has been resting till it is finaly available for savouring. 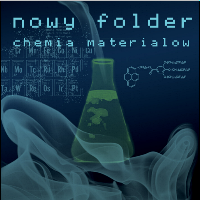 We present to You Nowy Folder and its Chemia Materiałów. These four tracks are the effects of a mixture containing e.g. dub or drum’n’bass, but it is the pinpoint precision of their balance which ephasizes even more the quality. You needn’t read a leaflet or consult a chemist, simply download and listen – you are welcome! Due to the arrival of 2012, Paproota.org team wishes all the visitors many yet unfelt feelings connected with listening to music, as well as making any ambitions real. For a good start, we have gift for You – Paproota.org player for iPhone with greetings from Nomtek company from Wrocław (PL) with JahPa3 at the head. The day in which we want to proudly present you next part of Paproota Dub Compilation Vol.2 has finally come. There are tracks, which we have listened for the last couple of months hundreds times, and despite their difference of origin and styles, we have found them coherent. We invite You to download them for free, and have a sit on our bench. It is obvious that many of us are fed up with listening on and on to proposed in commercial media the so called ‚music’. It plays the same all the time, moreover, it can influence our mind to such a degree, that the brain, instead of exploring and learning new, becomes imprisoned in the trap of monotonous sounds. Against this, come people who spend days and nights seeking and widining their music horisons. They set an example for those who already are, or soon change into the victims of worn out melodies. 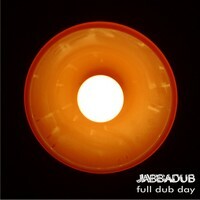 “Full Dub Day” is the title of the newest EP by Jabbadub from Zgorzelec (PL). 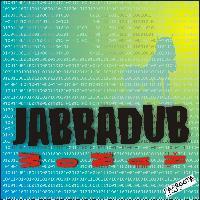 It contains seven coherent, but varied in style at once, tracks, some of which could have already been heard at jabbadub’s performances, as well as some that are brought into light for the first time. DinoDub is responsible for the production as a whole, vocals by RasDush and a special guest Diana Levi. Behold is the long expected breeze of freshness for every day of the week, hot or freezing, long or the shortest. You are welcome to download it! 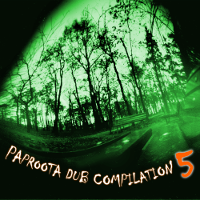 Paproota Dub Netlabel proudly presents first edition of Paproota_Dub_Compilation series. It contains works of Polish dub bands/producers such as Zebra, Jabbadub, Javara Sound System, King DuBear and many other. All of them available for free! It is just the beginning of the year 2010 and Paproota Dub Netlabel prepared for You another release. This time it is an EP containg 6 tracks made by King Dubear from Ostróda PL. „From The Bear’s Den – Chapter One” is a piece of music deeply rooted in digital dub/steppers mood. It derives from the author’s liking of Jah Shaka, Iration Steppas and Aba Shanti I, however, this album is distinguished by characteristic synth elements. Jabbadub – “Woman” is the next release on our netlabel. 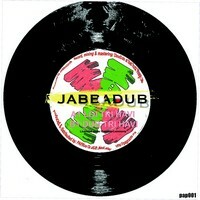 There are four tracks kept in dub style. Vocals were recorded by RasDush and Guaranga.